A small town steeped in history and legends, Blarney provides a convenient base for exploring the southwestern portion of Ireland. Located just a short drive from Cork City, this tiny village draws huge crowds with its atmospheric 15th-century castle. The region's biggest tourist attraction, the castle boasts a fabled stone claiming the supernatural power to endow anyone who plants a kiss on it with the gift of superior eloquence. Once you capture the magic stone's power, test your "gift of the gab," as the locals call it, by visiting one of Blarney's many pubs, ideal places to parley with the native smooth talkers. Blarney is in County Cork. Add Blarney and other destinations to your itinerary using our Ireland planning app , and learn about what to see, what to do, and where to stay. 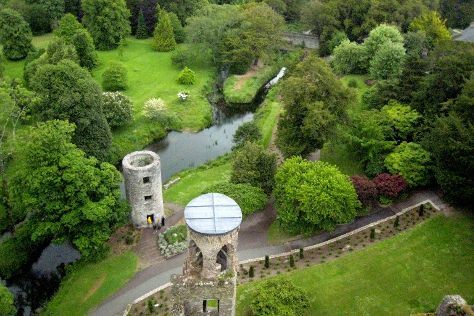 When you come to see the historical Blarney Castle and its mythical rock, consider staying at one of the many local bed and breakfast spots in Blarney. Many people view these traditional lodgings as the best way to experience true Irish charm and hospitality. The small village near the castle offers a variety of bed and breakfasts in different price ranges, as well as a few guest homes, and most put you within walking distance from the castle. If you prefer a larger city, explore accommodation options in nearby Cork.